While the firms behind me play important roles in our day-to-day servicing of your needs, the most important relationship I have is undoubtedly with you. I work with these firms to make it easier for me to work for you. Anytime you would like more information about the above firms, please do not hesitate to ask. 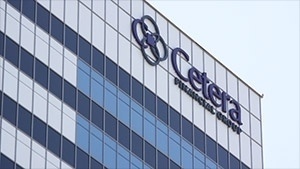 I want you to feel confident that you understand, to your satisfaction, how we work with and through these firms, why I have chosen to work with Cetera Financial Specialists, and the absolute priority both Cetera Financial Specialists and I place on our relationship with you.